For some months I have been highly critical of the failure of the American Jewish establishment leadership to speak out against repeated hostile policies and statements emanating from various branches of the Obama administration. I also expressed concern regarding a joint public statement issued by Abe Foxman, head of the ADL and his American Jewish Committee counterpart David Harris which many perceived as an attempt to stifle all political discussion related to Israel in the forthcoming Presidential election. 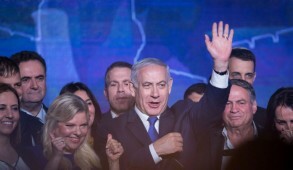 If implemented, it would have embargoed both positive or negative comment and discourse concerning policies adopted by parties and candidates in relation to Israel. Whilst not surprisingly, the ZOA and Jewish Republicans vehemently condemned these outbursts, most of the Jewish leadership once again responded with deafening silence. 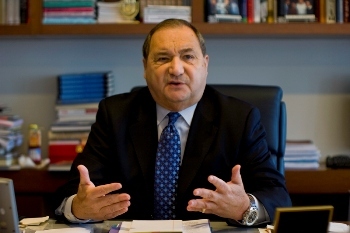 However, unlike his other Jewish establishment colleagues, Abe Foxman, the effervescent ADL head, spoke out with vigor and dignity, condemning the offensive remarks and calling on the Administration to distance itself from all three outbursts. In a blazing op-ed in the internet Huffington Post, Foxman related specifically to Panetta’s remarks blaming Israel for the deteriorating situation with Turkey and Egypt. He stressed that US Secretary of Defense Leon Panetta’s remarks were not merely “inaccurate” but “disturbing and potentially dangerous”, adding that “finding fault with Israel at a time of great instability and uncertainty in the region is particularly distressing.” He called on the White House to issue “a clear repudiation” because “if the Secretary’s remarks are allowed to stand, this is likely to set in motion events that will exacerbate existing problems … and add fuel to the fire of an already raging region”. In a subsequent interview with the JTA, Foxman also condemned Secretary of State Hillary Clinton’s remarks castigating Israel’s treatment of women making odious and utterly baseless analogies with the manner in which Iranians treat their women. Foxman pointed out that “This is a Secretary of State who certainly doesn’t go out to the Arab Moslem world and criticize them for inequalities”. “Sure”, he said, “Israel is not perfect, human rights could use improvement, but my God, in comparison, I think it is inappropriate, it’s excessive”. He described Clinton’s remarks as being “out of line”. Foxman noted that the remarks from all three members of the Obama Administration reflected a common theme which came to the heart of the “problem we’ve had with this administration”. The three of them are “putting all the onus on Israel and that’s with Panetta, with Hillary and with the Ambassador” [US Ambassador to Belgium whose offensive remarks implied that Muslim anti-Semitism was a byproduct of Israeli intransigence in the Middle East]. 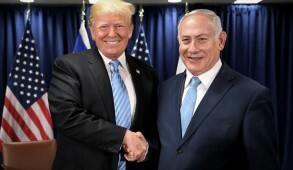 He was careful not to ignore the positive aspects of the administration’s attitude towards Israel such as the ongoing defense commitments which has brought the US-Israeli military alliance to newfound heights. But, he pointed out that the attitude towards Israel is “bifurcated” and the administration has regrettably also “done more to politically distance itself from Israel”. This is not the first time that Foxman spoke out as a lone voice amongst mainstream American Jewish leaders. In the early stages of the Obama administration, he was the only Jewish establishment spokesman to criticize the president when he initially displayed his bias against the Israeli government. 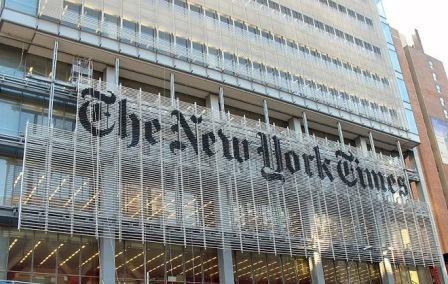 In August 2009 in a full-page advertisement in the New York Times, Foxman called on Obama to recognize that “the problem is not the settlements. 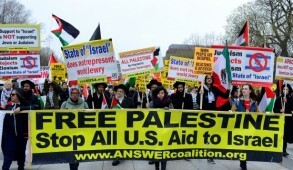 It is Arab rejection… Mr. President, it’s time to stop pressurizing our vital friend and ally”. 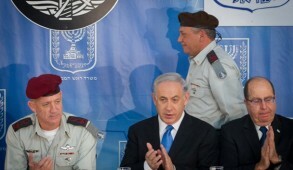 In March 2010, Foxman was again one of the few Jewish leaders to condemn the histrionics displayed by the president and secretary of state against Jewish construction in the residential areas of Jewish East Jerusalem. He even went so far as to propose a protest march on Washington. Nobody could accuse Foxman of being a hawk in relation to Israel and over the past six months he made a number of statements with which many of his less dovish Jewish constituents took great umbrage. But this does not negate the fact that when the chips were down and he considered redlines were being crossed in relation to the Jewish state, he was one of the few willing to courageously speak up against the Obama administration. 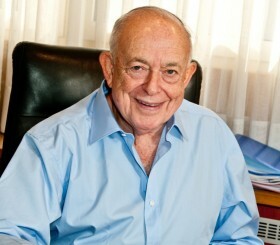 Once again, despite the fact that it may create major problems with those of his supporters who still blindly endorse all aspects of the Obama administration’s policies, the former child Holocaust survivor who rose to become head of one of American Jewry’s foremost organizations again proved to be a trailblazer. One can only hope that his courageous response will serve as an example for other Jewish leaders to emulate.